Container arrives with lots of new items! Miniature Building Authority is excited that our next container full of great new items is arriving on March 8th. We will be fulfilling our Kickstarter orders first, but we are now taking orders on all new items and will ship them as quickly as we can. Categories: Uncategorized | Tags: kick starter, kickstarter, new product, product arrival | Permalink. MBA will be attending Historicon (July 16-19) in Fredericksburg, VA. We are looking forward to seeing everyone. We are bringing all the new castle items from the OCT kickstarter to include the new middle eastern and 15mm items too. This will be the first show that these are actually for sale. Additionally, we have all the prototypes in for the next series of buildings. There are some great new buildings that you will have to check out. We will also have some new Direct Terrain items delivered to us at the show that will be available for the first time. Furthermore, we are going to have some great cash and carry sale items with limited availability, so get by early to make sure you can get in on some great deals. Our modern figure line is almost ready to go. Bobby Jackson the sculptor will be at the show and have previews of all the figures for the line. He has done a great job on these sculpts. Lastly, we will have information on the next two kickstarter projects that will be happening very shortly. Castle KickStarter Stretch Goals being met! Thank you to all our backers. We really appreciate you here at MBA. Everyone at the PREMIUM LEVEL now gets to add to their goodie pile with the MBA Castle Kickstarter Archery Target. This is an unpainted kit that retails for $7.95. 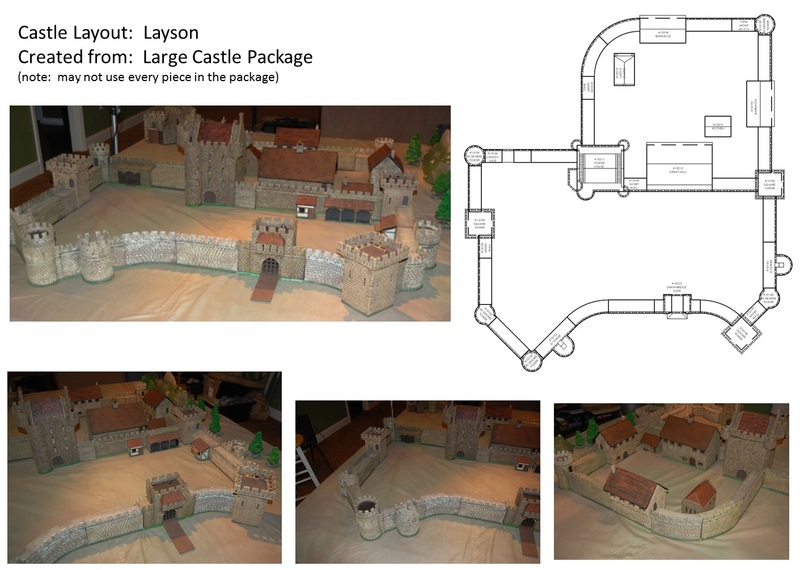 Categories: Uncategorized | Tags: castle, Castle Dungeon, castle kickstarter, Castle Walls, stretchgoals | Permalink.